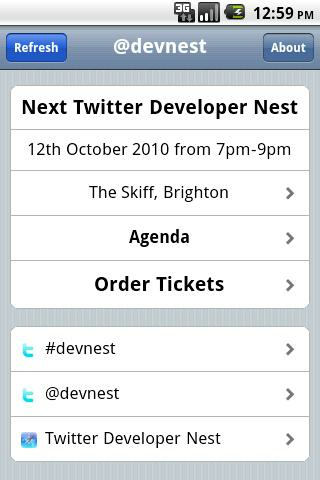 Twitter Developer Nest (DevNest) is a free monthly gathering for developers using the Twitter API in London, United Kingdom. 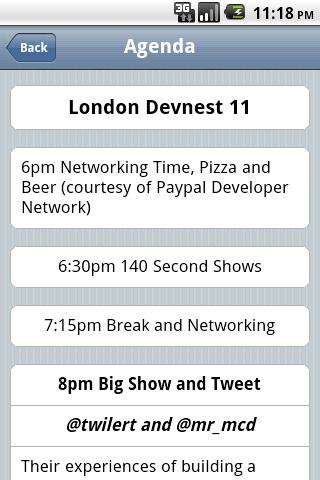 From this app, you can see when the next meetup is, view the upcoming agenda and see the latest discussions and news about the event on Twitter, as well as many other exciting features. Next Post: Live Wall: Magic Ring!